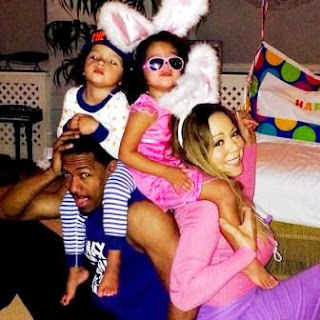 Mariah Carey Net Worth - How Did Mariah Carey Get So Rich? Mariah Carey Net Worth - $550 Million. Mariah Carey is an American singer, song writer and actress. Her estimated net worth is $550 million. Mariah Carey was born in Huntington, New York to Alfred Roy Carey and Patricia (née Hickey) in March 1970 (Age 47 years). Mariah grew up singing; she enjoyed and excelled at it because her mom was a vocals coach and opera singer. Carey released her first album, called Mariah Carey in 1990. The album went multi-platinum with four singles topping the Billboard top 100. Her single One Sweet day stayed top of the US charts for sixteen weeks, a record that has never been broken to date. Her other albums included Music Box and Butterfly; she was signed to Sony Music and Colombia Records. How Did Mariah Carey Get So Rich? Mariah later signed a $100 million contract with Virgin Records. Mariah Carey’s Emancipation of Mimi album became a best seller; she sold 160 million copies between 2005 and 2007. She got eight Grammy nominations, winning three of them. Carey has sold over 200 million albums in her career making her joins The Beatles and Elvis Presley as best-selling artists of the 20th century. Mariah Carey got married to actor and rapper Nick Cannon in April 2008 and on the same day of their third anniversary they were blessed with twins, Moroccan Scott Cannon and Monroe Cannon. The two celebrities had a prenuptial agreement before marriage; it’s believed they recently completed their divorce settlement without drama. Nick Cannon’s net worth is estimated to be $25 million. Mariah was in 2016 engaged to billionaire James Parker whose net worth according to Forbes is approximately 3.4 billion. According to TMZ, Carey broke off the engagement and demanded $50 million settlement fee. She claimed the billionaire made her relocate from New York to Los Angeles costing her millions of dollars. Her first marriage to Sony Music boss Tommy Mottola also ended in the same fashion as the others. Mariah Carey was a judge at the 2012 American idol completion. Her salary was reported to be $18 million. Her net worth is expected to increase in the coming years.